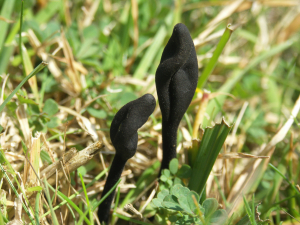 Observation - Shaggy Earth Tongue - UK and Ireland. Description: Fungus at edge of bog with carnation sedge and sphagnum moss. Fungus at edge of bog with carnation sedge and sphagnum moss.